By Kalea Hall | May 13, 2018 at 12:01a.m. 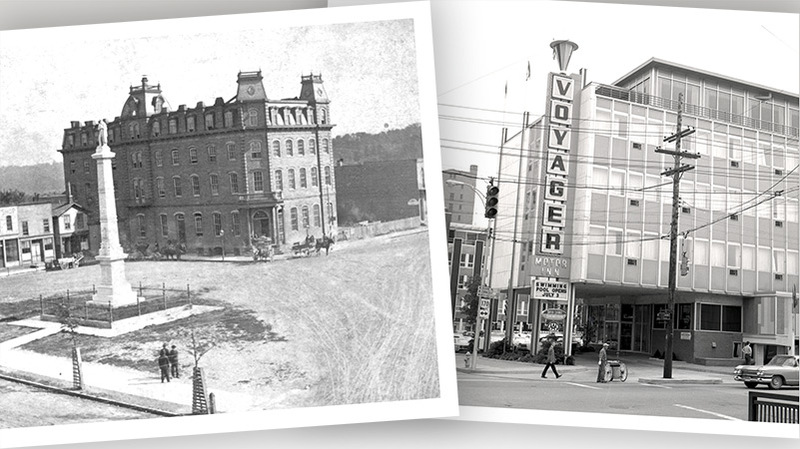 Mahoning Valley Historical Society | From the Tod House to The Voyager Motor Inn, downtown Youngstown has been without a hotel since the late 1990s. That all changes with the opening of the new hotel in Youngstown this week. A city directory from 1918 lists 17 hotels downtown – and that’s just the hotels that paid for the listing. A century later and the city is now awaiting the arrival of its first hotel since the 1970s with the opening of the DoubleTree by Hilton hotel later on Tuesday. “I don’t think we can imagine how dynamic and exciting” that downtown was, said Bill Lawson, executive director of the Mahoning Valley Historical Society. Downtown Youngstown was the place to be for a lot of reasons, and it had multiple train stations that brought in people from all over the country. “I think access to transportation really fueled the hotel business downtown,” Lawson said. Those first arriving in Youngstown would have relied on the hotels, also known as taverns in those days, for housing. People could get a room just for the night or for an extended stay. Here are some of the hotels that once resided in downtown Youngstown, from the archives of the Mahoning Valley Historical Society. The first of these taverns dates back to 1805. “By then you had a concentration of people here,” Lawson said. The population of Youngstown Township, before the incorporation of the village and then city of Youngstown, was 1,025 in 1820. By 1840, when the Pennsylvania & Ohio Canal opened, the population had risen to about 1,500. The canal connected Akron to the Beaver and Erie Canal in Pennsylvania, also benefiting the downtown Youngstown hotel industry. In 2016, the city had about 65,000 residents, according estimates from the U.S. Census. Youngstown was then and remains today a gateway city – the central location between Cleveland and Pittsburgh and New York and Chicago. It was the place to stop during a long train ride, and that fueled the growth of hotels. The taverns provided not only places to stay, but also meals, spirits and an exciting atmosphere. The first fine, large-scale hotel would have been the Tod House built in the 1860s. An advertising card shows the hotel costing $2 per day. In the 1880s, the average worker maybe made 50 cents a day. “You would need economic means to stay there,” Lawson said. The downtown was also home to railroad hotels that weren’t considered fine stays, but provided a night’s rest for passengers of the railroad or the railroad workers. In the 1870s, Mahoning County offices and courts relocated from Canfield to Youngstown and that spurred economic activity downtown. 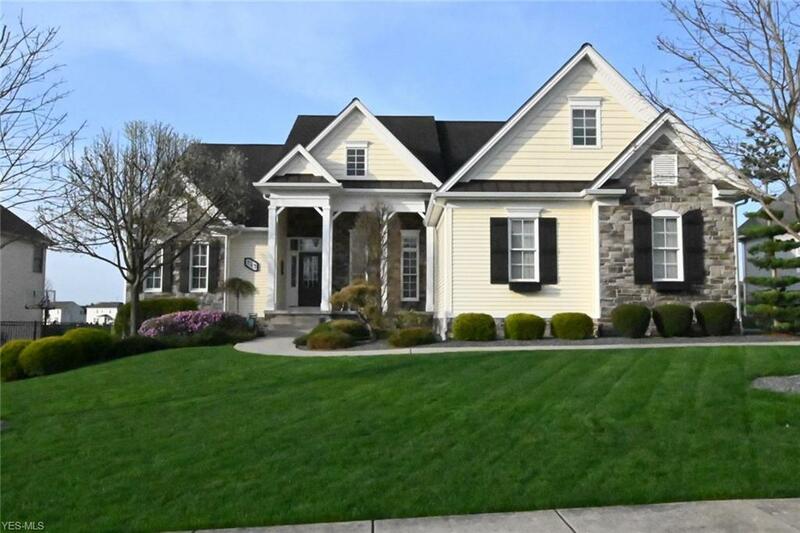 The move meant people had to head into the city to do business with the county such as paying taxes, recording real-estate purchases, marriage licenses and other tasks, which could take long hours. Back then it would have taken several hours to travel downtown from the rural parts of the county to the court house. Hotels were needed in case people needed a place to stay while getting their county business done. In 1911, business and industry leaders felt they needed a full-service hotel for their business partners to stay when they came to town, so they decided to open Hotel Ohio, later known as the Ohio Hotel and then Pick-Ohio, which is now Amedia Plaza, a housing complex operated by the Youngstown Metropolitan Housing Authority. “They [hotels] served a very important need in terms of people coming to town to do business [or] to look for work,” Lawson said. After World War II, however, things began to change downtown. Trains were going by the wayside, and the turnpike was on its way. Hotels went up in the suburbs. The opening of Interstate 80 brought hotel business to Girard and Liberty as well as Austintown. Once again, the area serving as a halfway point continued to help bring in hotels. By the 1970s, the downtown hotels had closed and most were torn down. The Voyager Motor Inn closed in 1974 (The Thomas D. Lambros Federal Building and U.S. Courthouse now sits on the Voyager site). The Pick-Ohio was still open in the late 1970s, but it was mostly used for low-income housing. In 2014, downtown developer Dominic Marchionda of NYO Property Group announced he would transform the Stambaugh Building into a modern luxury hotel. In the early 1900s, the Stambaugh, a 12-story neoclassical revival building, was designed by well-known architect Albert Kahn of Detroit and financed by John and George Stambaugh. It was an office building that would later serve as corporate headquarters for industrial companies, including Youngstown Sheet & Tube Co. When originally constructed, the building was the talk of the town. With its gleaming white exterior, it made quite an impression in Central Square, Lawson said. In 1913, Sheet &Tube had the top four floors added for its offices, but by the late 1950s, the company would relocate its headquarters. In more recent years, the building made headlines for lack of windows and its lengthy hotel renovation. Louis A. Frangos owned the building in 2008 when the windows on the building were removed without city permission. Marchionda and his business partners, the Pan Brothers Associates, a real-estate services company in New York City, began the hotel project in 2012. Initially, the hotel was set to open in June 2016, but restoring the historic hotel took more time than initially expected. The renovated Stambaugh – now a Hilton hotel – will now be home to 125 hotel rooms, two restaurants, a coffee shop, a banquet room on the top floor overlooking the city and two meeting spaces. “It’s a treasure,” Lawson said. May 12, 2018 3:50 p.m.